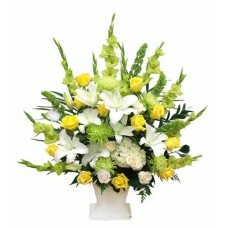 Those flower arrangement are mainly for Sympathy use. 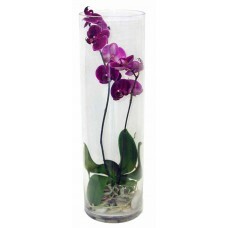 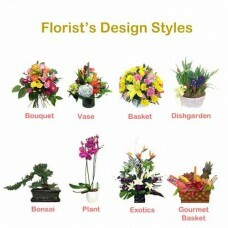 If you need flowers for Funeral Home Service, you can check the Funeral Category. 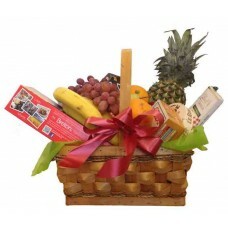 Best Wishes Gourmet Basket is a collection of gour.. 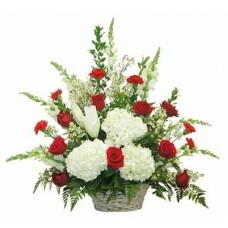 Always Missed Basket is an outstanding expression .. 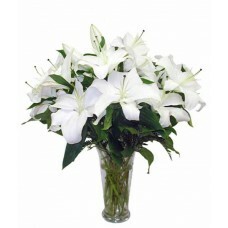 Elegant Comfort Bouquet display the sweet serenity..
Let us know your favorite styles, color and / or f..
Red roses, red carnations, white hydrangea, lilies.. 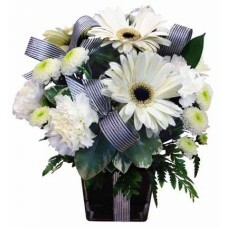 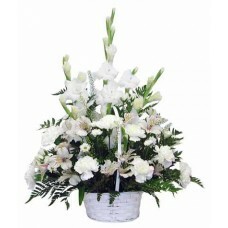 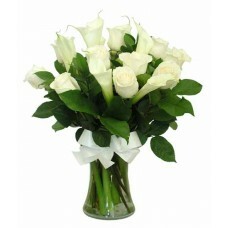 Forever Missed Arrangement is showing heartfelt co..
Vase arrangement with white Gerbera, white C..
Yellow lilies, roses, Fuji, Gladiolus and Bells of.. 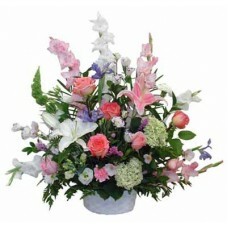 Graceful Peace Arrangement offers your condolences.. 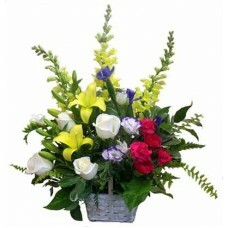 LightIng Your Life Bouquet is a beautifully ..
My Dear Arrangement is a colorful assortment of ro..